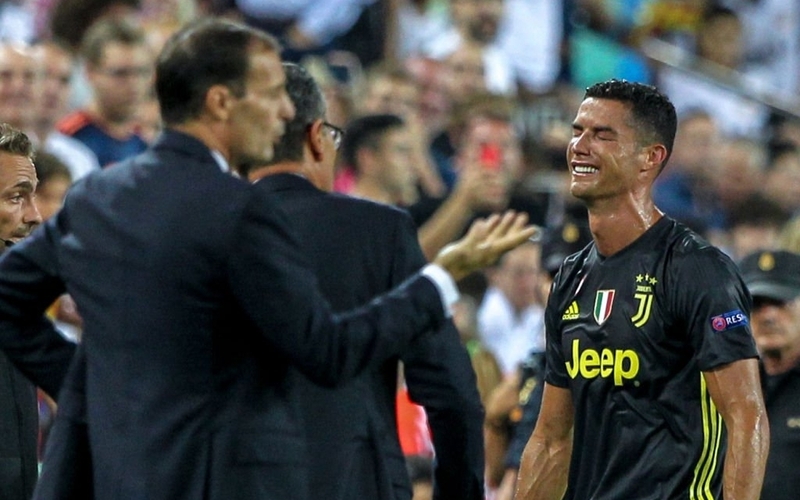 Cristiano Ronaldo was left in tears after getting a red card in his Champions League debut for Juventus on Wednesday night. The Serie A giants were playing against Valencia and went on to win the match 2-0. Ronaldo was sent off in the first half after opponent Murillo tumbled to the ground as they tussled for the ball. Referee Felix Brych had no hesitation in showing him the red card after consulting his assistant official. Here are the videos of how it happened and the moment Ronaldo received the red card.